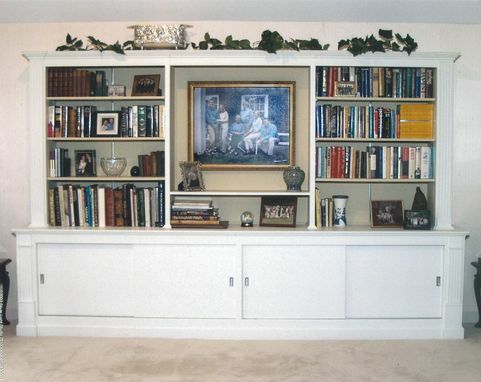 This project is a result of a design solution for a client who had moved out of a large home, into a smaller condo and needed to consolidate where space was a premium. 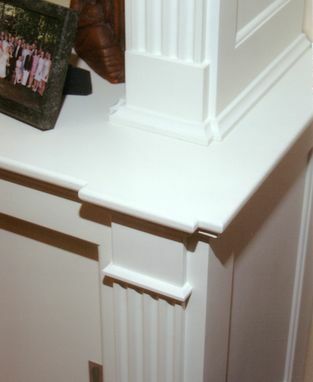 The unit is made from poplar, matches existing millwork and profiles from the fireplace mantel. 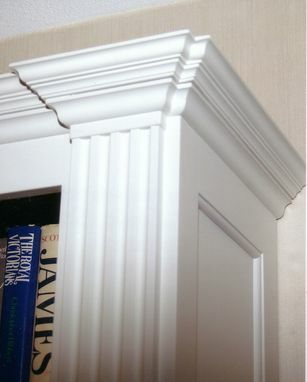 In addition,the room baseboard wraps around the base of the unit so it looks original to the space. The unit had to be designed to highlight a family portrait and features accent lighting for it. 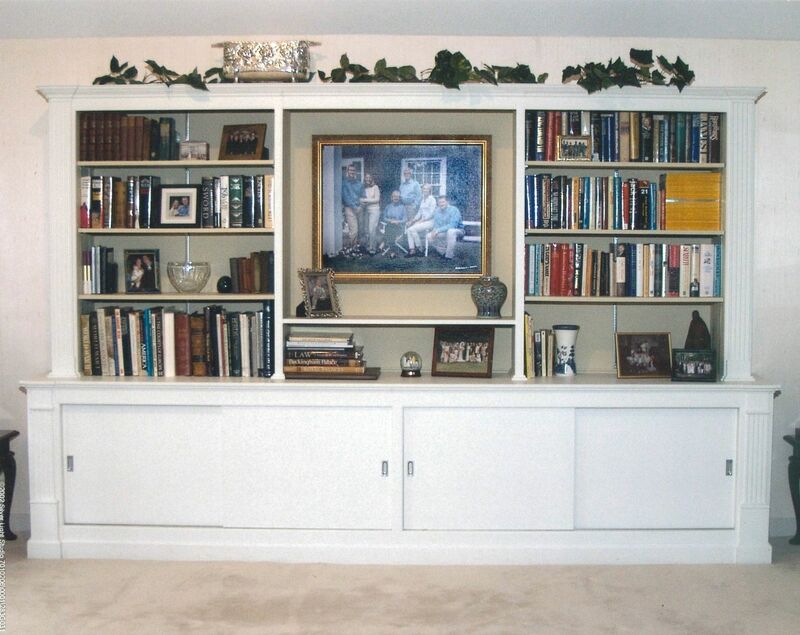 Sliding doors on the lower storage unit were chosen (as opposed to hinged doors) to eliminate any protrusions into the room. 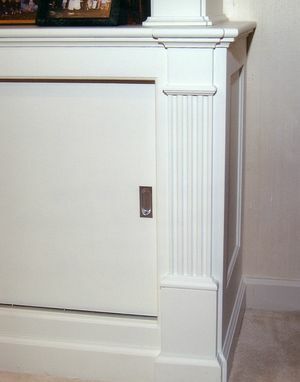 Cutouts in the back of the lower unit allow accessability to existing electrial outlets and strategically placed grommets for cordage management . The client chose the color combinations.